My son has always loved science, tech, and engineering, and even if math isn’t is favorite subject, he happens to be just naturally good at it. He’s also got a love and natural ability for the arts, as well. We encourage his love of both STEM activities and his love of acting. We want our son to be well-rounded and keep his love of learning fueled, not just during the school year, but during summer break as well. 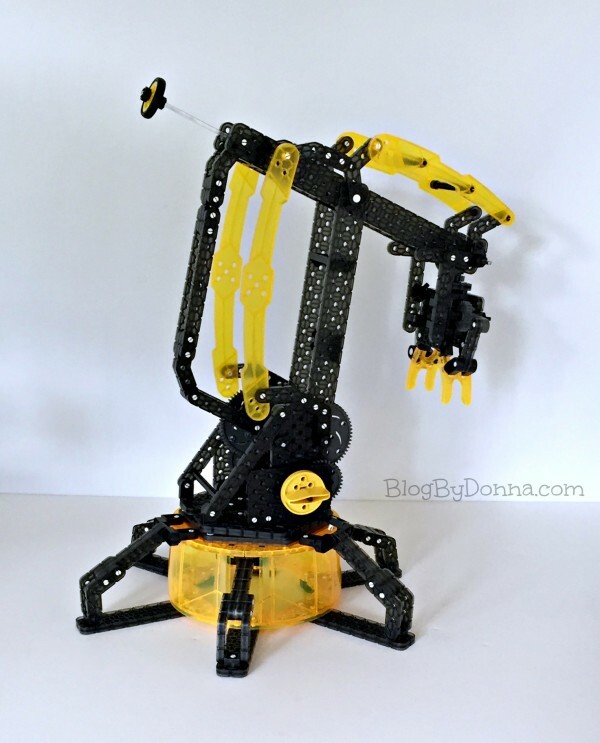 The Vex Robotics Robotic Arm by HEXBUG is a great STEM-based kit for tweens and teens (recommended for 8 to 15). The Robotic Arm by HEXBUG gives tweens and teens the hands on experience of how an industrial robot works. You know, the kind of robots that work on assembly lines building other complex pieces of machinery. This unique Robotic Arm is hand powered and can pick up and relocate items using four degrees of freedom and an articulated grabber hand. The whole crane can rotate 360 degrees. Allowing this miniature robot to perform the complex actions of its real life counterpart. The VEX Robotics Robotic Arm (PN 406-4202; MSRP $49.99) is complaint with CPSIA standards. Batteries not required. My son enjoyed putting the Robotic Arm together one afternoon last week. He thinks it is a great way to spend time and that it would be a good challenge for 8 year old and up. But even younger kids who are into building things and like tech toys could build the Robotic Arm with a little assistance. My son is thirteen and found it easy and didn’t require any help in building the Robotic Arm. He says the instructions are very easy to follow. He likes that you can build either a chopper or a scorpion. 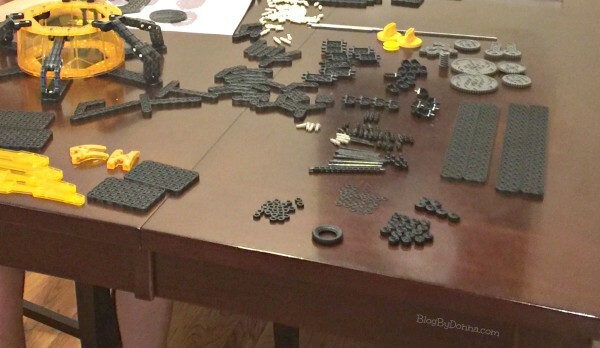 Before the summer is over he is going to disassemble the Robotic Arm and build the scorpion. 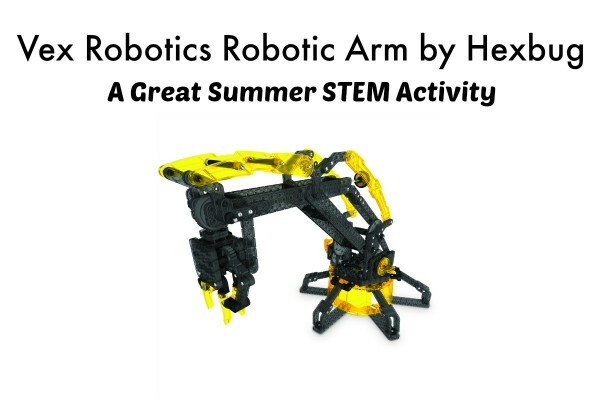 If you want to encourage learning, even in the summer, I highly recommend the Vex Robotics Robotic Arm by Hexbug from Best Buy.